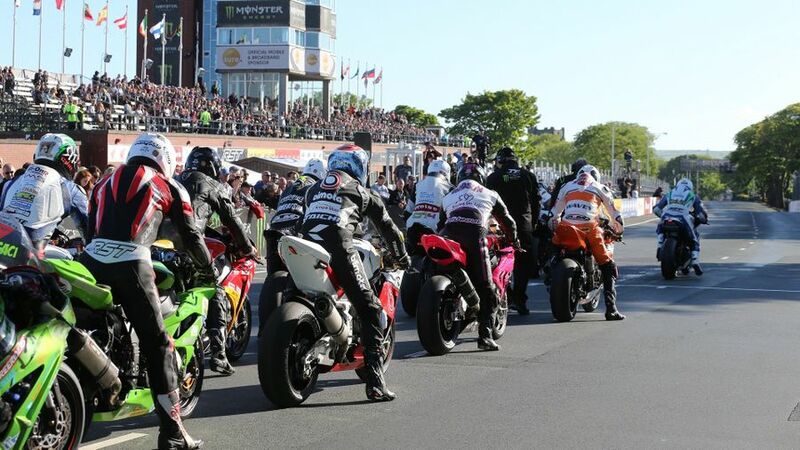 Late May means only one thing in motorcycle sport – the Isle of Man TT, one of the world’s biggest, most dramatic and most exciting bikesport events, is back! If you’re lucky enough to be one of the anticipated 50,000+ fans that make it to the small island in the middle of the Irish Sea to experiences the road racing festival first hand you’re in for a real treat. But even if you’re not, with ITV4 delivering nightly, hour-long coverage of the event on free-to-view terrestrial TV throughout race week, it’s still one of the highlights of the two-wheeled year. This year’s racing schedule follows the usual format with practice week commencing May 26 before a full week of racing begins with the Superbike event on 2nd June. The full timetable is at the bottom of this guide. As always the headline events are the Superbike and Senior races which bookend the week and are for the fully race-tuned, slick-tyred 220+bhp versions of the 1000cc sports bikes you and I can buy for the street. And although crowd favourite Guy Martin isn’t racing this year, 23-time winner John McGuinness, who was due to set off at No.1 aboard the Norton for the first time, now looks certain to pull out due to injury and popular Kiwi Bruce Anstey is also missing this year’s event due to a cancer scare, there’s still certain to be a feast of racing. 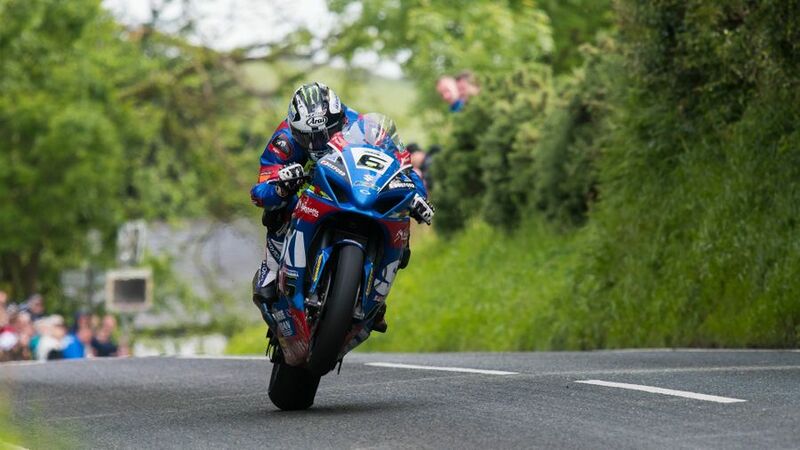 Current lap record holder and winner of last year’s senior aboard the Suzuki GSX-R1000, Michael Dunlop, starts as hot favourite for both races once again, particularly as he’s this year reverted to ride the BMW S1000RR on which he was so dominant in 2016. 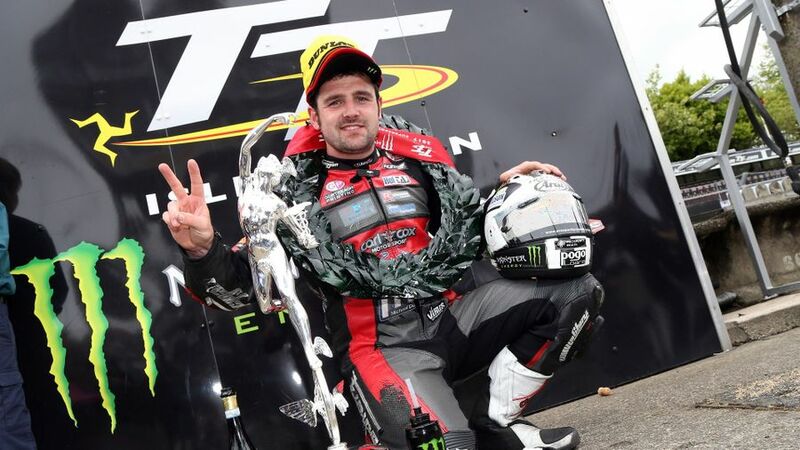 Even so, the Ulsterman isn’t likely to have things all his own way and is certain to come under pressure from 16-time winner Ian Hutchinson who, although also still recovering from injury, is back aboard the latest version of the Honda CBR1000RR on which he dominated 2010’s races. Other contenders include Peter Hickman, also aboard a BMW S1000RR, Dean Harrison and James Hillier, both riding Kawasaki’s ZX-10RR. The Superstock race on the Monday sees most of the same leading contenders aboard less modified versions of the same machines using treaded, road tyres. The two Supersports races on the Monday and Wednesday should be among the most hardest fought events of the week and will feature 600cc sports machines such as Yamaha’s R6, Triumph’s 675 Daytona, Honda’s CBR600RR and Kawasaki’s ZX-6R. While Wednesday’s Lightweight TT, although the slowest, most newcomer-friendly race of the week using 650cc twin-cylinder machines developed mostly from Suzuki’s SV650 and Kawasaki’s ER-6f, also features many of the star names. Finally, if you like your motorcycle racing a little bit more ‘left field’, there’s the unique TT Zero, now starting before the Lightweight on the Wednesday which is for zero-emissions, electric powered machines over one lap plus the two sidecar races which also bookend the week. As TT afficonados well know, the Isle of Man festival is also about much, much more than just the road racing. The whole island becomes a motorcycling paradise for a fortnight with not just racing and great roads but street parties and shows and events littered all over the scenic Island. 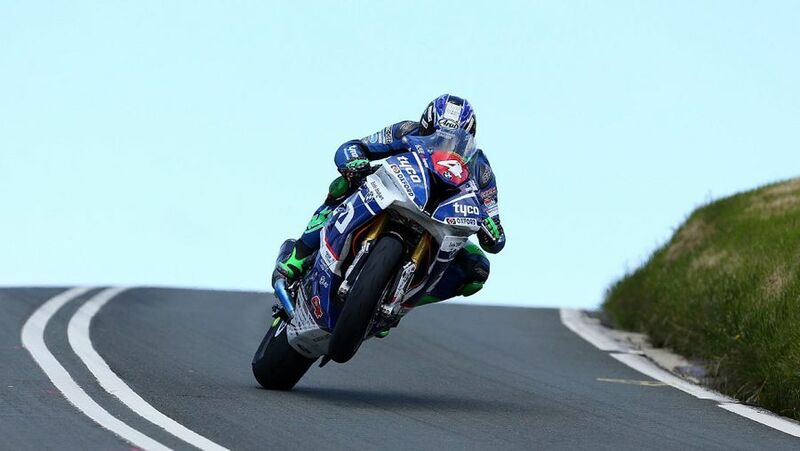 And even if you can’t attend in person (although if you still want to it’s not too late – go to https://www.iomtt.com/travel for more details) you can still take in much of the racing and atmosphere via ITV4’s thorough nightly coverage of the event. With a new presenting team headed by Jodie Kidd and Matt Roberts, regular favourites Steve Plater and Cameron Donald and 15 one-hour shows planned, it’s never been easier to get your fix of the action. Interested in buying a sports bike?